Any regular reader here should know I really love solo guitar. A lot of times I end up praising all the wild men like Chris Cooper, Bill Nace, Brian Ruryk, Bill Orcutt etc. but you know what? I also dig guitar in the more conventional mode. This LP right here by M. Mucci is one of the best in that vein I've heard in sometime. Actually, it's one the best guitar records of any "vein" that I've heard in recent memory. Laying out 8 tracks, 4 per side, Mucci goes to town armed without much more than his six-string. As far as I can tell, there is no improvisation here. Everything is composed and performed to a tee, and beautifully I might add. "Small Triumphs" features robust arpeggios and a kiss of steel guitar as well. Two of Mucci's greatest strengths are his use of dynamics and pacing. He's not afraid to employ silence but he doesn't overuse it either. He uses it here to build momentum between melodies but before long the piece can just coast on its own supple energy. Mucci plays with tempo and volume particularly well, there's a moment where he appears to be winding down before thrusting forth with a new bombastic melody and stereo-panned cymbal swells to back it up. Taking around half of the side, "Small Triumphs" is a winding journey but its the following track "The View from Here" that's my absolute favorite. From the get-go its an uptempo piece with a jaunty, thumb-plucked bass part to go with the glimmering fingerpicked melodies. The piece builds and builds occasionally sliding into the minor key before unleashing a wonderful two-note progression. This is difficult to write about as all I can really say is "this is a great melody" "Mucci plays it extremely well" so all I can ask is that you just believe me. Mucci makes an unexpected divergence in the final part, with an extended breakdown of sorts into the final seconds. "The Culprits" has the faintest hint of Morricone, with sparse guitar plucks and a quiet but tense tone ringing relentlessly just within earshot. From there, Mucci is back to his hypnotic fingerpicking, cranking out a masterful old-timey minor key jammer. Despite the record being consonant overall Mucci isn't afraid to incorporate atonality occasionally here or surprisingly savage slide work either. "Apri L'occhi Pt. 1" is a much too brief and mournful little coda for side A that reminds me of glimmers of Godspeed You! Black Emperor's masterpiece F# A# ∞. Very nice and too short! Side B opens with "Chase Down Alice St." which would be the perfect choice for a playful montage of a bandit quietly outsmarting the authorities. Rob Cappelletto contributes subtle but stomping drums, imbuing the piece with a touch more energy but without overriding the fabric Mucci weaves. There's a lovely, atmospheric slide breakdown as well. "Moments Between" changes the vibe considerably, with a sparser, darker set of arpeggios that slowly twist along to their conclusion. "A Day Like Any Other" is another favorite. Initially it sounds like a more expanded version of "Moments Between." It simmers, slowly revealing a more complex scheme in brief flickers. New melodies weave their way in amongst the old, which refuse to totally relinquish their grasp. The last couple minutes of the piece are rather beautiful, the notes continue to cycle over a light frost of melodica and Mucci stirs a handful of equally lovely melodies into one big pot. And then it hits, a 3 note phrase on the E-string cuts deep and pulls the rug out. It's a shame that Mucci fades the piece out as soon as that riff shows up, although I suppose that adds more punch to the end of the travels. "Apri L'occhi Pt. 2" is another short coda for the side, and this time the record too. I wouldn't mind hearing Mucci flesh out more works in this cloudy, drifting style. So the guy's chops and exactness are impeccable, but importantly this record is ridiculously listenable. It really is one of those you can throw on any time. Before work, after work, before bed and any time in between. 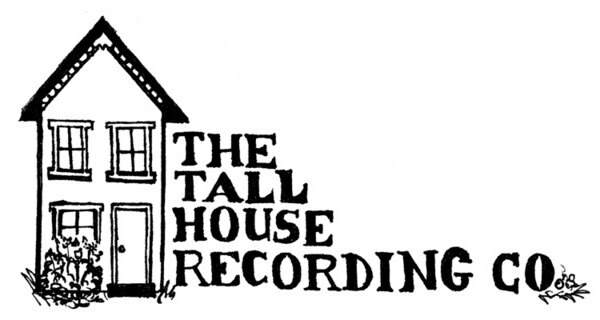 It's a hell of a record and The Tall House (which I think might be Mucci's imprint) did a fine job dressing it up as well. Recommended. US guitarist M. Mucci plays acoustic guitar, and a few other bits and pieces, on his latest foray "Time Lost." Opening with the solo acoustic piece 'Small Triumphs,' which reminded me just a tiny bit of Steve Hackett's 'Horizon,' further fingerpicked wizardry ensues on 'The View From Here' - superbly played, with a marvellous "travelling" quality. 'The Culprits' is more impressionistic, adding slide before returning to the clawhammer style, while 'April L'Occhi Part 1' is almost ambient, with its slow, isolated notes. 'Chase Down Alice St.' adds percussion for extra drama - it works well - then goes almost into a full band sound. 'Moments Between' is contemplative, before the seven minute extended ramble of 'A Day Like Any Other,' which is not in clawhammer style, features a harmonium, and contrasts well with the rest of the album. Closing cut 'April L'Occhi Part 2' drifts off as did part one. Refreshing, beautifully played, and most enjoyable. Finding yet more wily, ghostly echoes of Old Weird America in the veins of acoustic guitar strings, M. Mucci mines familiar territory, yet the soulful songs and mindful picking on “Time Lost” do not sound derivative. Country Blues and folk tunes played with drone tuning are endless sources. Mucci has been exploring those sources, along with the sense of immense space that comes from living in Ontario, in the largest country in the world. He leaves a lot of room in his music, both for silence and for improvisation. The opener, “Small Triumphs,” is meditative, almost bucolic, with a gradually building majesty. A couple of haunted, slightly askew steel string workouts follow, with “The Culprits” particularly notable for its eerie slide work at the end. Likewise, both “Moments Between” and “A Day Like Any Other” are almost twins, haunting spare meditations. Overtly joined are the two parts of “April L’occhi.” The first part, short at under two minutes, offer minimal, short, electric guitar ambient tones, whereas “Pt.2” is a more spectral atmospheric development of the originally stated melody. Mucci works solo throughout, the only exception being on the country-noir of “Chase Down Alice,” which features a very restrained full band. I have had a few listens to this new album by M.Mucci and I must admit he succeeds to provoke a certain feeling that time stands still, a contemplation with different directions under the form of lead picking tracks, and outros or small intermezzos in different styles. Also, a band accompanies him with nothing but percussive accents, mostly with cymbals, occasionally with a subtle singing bowl, harmonium and some slide guitar. The pickings leave openings, are a few times more song like, and recall Fahey a bit here and there. After a slow developing picking theme with accordion, a faster picking track follows, in a rather blues-mode but with happy effect. The bowl sounds leave time for a very slow picking intro in the next track, with resonance and space, before another faster Fahey-styled expression. The outro after that leaves the electrified acoustic guitar resonate a bit more. Also the second side has changes that make the listening experience more rewarding, while they were made to combine the tracks best. Like mentioned one track is with cymbal percussion and sliding effect and faster pickings, leading to a more moody introspective track with inner quietness. This is followed by a song-like excursion with percussive accents that leads to more power in the playing as well. The outro with lots of resonance in the strings reminds a bit of Daniel Lanois (with Eno). A nice unpretentious honest light but crafty expression. Time Lost is the second album from Canadian-based Mike Mucci, who some may know from his time with post-rock band Proeliis Fere. Mucci's solo project is a much different venture; although still instrumental, he focuses on solo guitar performance and, for the most part, avoids the genre bleeding that has marked the works of other solo guitarists in the past few years. As a result, Time Lost is an enchanting experience: forty minutes of low key guitar music that steadily approaches the serene. It's a perfect album for lazy summer days or escaping the irresistible lure of time. Mucci's crafted an endearing album that's difficult to refuse. His smooth playing and cool style should prove to be invaluable to listeners of all ilks. The acoustic guitar, in one incarnation or another, has been around for perhaps a millennium. Nowadays, frequent appearances of guitar players in subways and at barbecues suggest that this is a pretty easy instrument to pick up and strum, unless - like this writer - one lacks the necessary co-ordination and has stumpy fingers. As is always the case, an instrument that seems easy enough to pick up and play takes years to properly master, and there are relatively few who have put in the time on the acoustic guitar, certainly in comparison to the electric guitar, the acoustic's upstart younger brother. So whilst even today, the likes of Jimi Hendrix and Jimmy Page get the magazine covers and the mainstream plaudits, (a recent edition of contemporary music hipster bible the NME featured Hendrix as its cover star, and the deceased star is regularly celebrated in the likes of Mojo and Uncut), the giants of the acoustic guitar are largely forgotten. Ask the next person you meet to name a solo acoustic guitarist and if you don't get a blank stare, you might get the answer 'John Williams'; better still if they don't think he's the guy who composed the Star Wars theme. With everybody gaga for the electric guitar, the acoustic maestros fell by the wayside, uncared for and overlooked. Of course, these artists didn't always help themselves - Davy Graham struggled for years with a drug habit and retired from performance for three decades or so, whilst John Fahey was reduced to living out of his car for a while after suffering a string of illnesses and broken relationships. Fahey and Graham were massive influences on subsequent generations of guitarists, and their styles can be heard everywhere from Simon & Garfunkel to James Blackshaw. Perhaps the highest profile of the recent wave of players, Jim O'Rourke's fingerpicking technique on Bad Timing was heavily indebted to Fahey, a style that is also utilised by M. Mucci on Time Lost, which shares more than just a mention of 'time' in the title. That the Canadian Mucci also lists 'Blind Joe Death', one of Fahey's aliases, alongside his hometown in a short list of influences underlines the style found here. The eight-track album opens in confident fashion with the lengthy "Small Triumphs". Mucci builds on a circular pattern which gradually broadens out, with the eventual addition of a little extra instrumentation. (Everything here is played and overdubbed by Mucci himself, apart from the frantic percussion of "Chase Down Alice St".) The playing throughout is strident, not to be reduced to background ambience but to be the centre of attention; Mucci has focused on putting together a coherent arc for this album, rather than shooting in all directions (as he did on his debut, Under The Tulip Tree), and his focus rewards our attention. Based in Guelph, Ontario, Mucci is a gifted guitarist who explores emotive textures in the realm of experimental finger picking and electric guitar tones. While it's only been two years since Mucci released his wondrous debut full-length, Under the Tulip Tree, he's been prolific, releasing two EPs in 2009 alone. His latest album is entitled Time Lost and finds Mucci re-visiting the acoustic playing he's renowned for, yet experimenting with new instruments and players to create his most lush and inventive effort yet. Mucci celebrates this new record with a Guelph show at Ed Video Media Arts Centre on Thursday June 17, which also features WHOOP-szo and Terra Lightfoot. Mucci stops by the show to tell us more about all of this. Ontario guitarist M. Mucci has recently released his second full length release “Time Lost,” recorded between Dec 2009 and Feb 2010. The CD kicks off with a couple tracks where Mucci sets the tone and tempo with his thumb. The first, “Small Triumphs” with just solid time keeping and the second, “The View From Here” with a great driving feel. This tune and the following, “The Culprits” are fantastic works in the modern Takoma tradition. What I like best about cuts two and three is how aggressive Mucci is with the thumb, just hammering out the rhythm. “The Culprits” has the added surprises that it starts off with some weird noises and suddenly pops into the strong finger picking, once you are grooving on that he slams into slide playing to wrap the song. Really a strong piece. Mucci’s use of percussion through out this effort is judicious and never gets in the way of the guitar playing. No, in fact I think it is a nice addition to the feel of the recording as a whole resulting in a lush feel throughout the experience. One of my favorite aspects of the music is how closely together Mucci has put the tracks. The time between is barely a beat and it binds the music into a whole. That and the fact that the songs flow well from one to the other. Though they are clearly different, the effort feels like one large composition. This is a limited quantity release on LP with a download included. The digital only price is great. Go visit MMucci.com and check out all the tracks. For avid fans of instrumental acoustic guitar music, there aren’t many real surprises anymore. These days, it’s hard to imagine a new player who could hit the scene and affect a seachange along the lines of, say, Davy Graham’s restless early experiments with Middle Eastern motifs, or John Fahey’s genre-spawning blues distillations. Even two of today’s most head-turning young instrumentalists, James Blackshaw and Kaki King, earned their reputations not by reinventing the wheel, but by designing their breakthrough recordings around the musical templates of Robbie Basho and Michael Hedges, respectively. …and what’s wrong with that? After all, innovation isn’t everything. Indeed, when it comes to guitarists, it seems that those who decide to eschew tradition entirely tend to lean on gimmicks… more strings, more effects, atonality, more notes and played FASTER! All of those things can be great in small doses, but at the end of the day, when someone sits down behind a six (or twelve) string wooden box, I hope to hear something musical. It doesn’t have to be tricky, it doesn’t have to be fast, and it doesn’t have to be a revelation… give me a little soul, just the right amount of technique and some compositional flare, and you might very well have a fan for life! Time Lost is the new album by guitarist M.Mucci, and on first listen, it seems perfectly in sync with what’s happening in underground acoustic guitar at this moment in time. There are strong echoes of Fahey, as well as the current crop of Takoma-inspired players. Opening track “Small Triumphs” particularly reminds me of Israeli guitarist Yair Yona, with its warm, strummed chords and lazy slide giving way to a patient, melancholy pattern-picking section. As Time Lost unfolds, Mucci, like Yona, betrays a healthy indie and post-rock influence in his approach to recording and arranging, and more often than not, that sensibility helps to keep the momentum going and the songs interesting. Second track “The View From Here” gets just a little more sinister, featuring tense chords and an insistent boom-chick in the bass. Again, this isn’t anything that hasn’t been done before, but Mucci plays cleanly and with conviction, and his obvious affection for the style helps to sell the piece. “The Culprits” continues both the mood and tempo, but with a slight ramp-up in dynamics after a very C. Joynes-esque prepared guitar intro. Mucci brings in a little aggressive slide playing before the close of the piece, which doesn’t really take the song anywhere… if anything it calls attention to the composition’s repetitive nature and lack of a real melody. The album features two short, watery dirges entitled “April L’occhi Pt. 1” and “April L’occhi Pt. 2,” each closing a side on the vinyl version (which, incidentally, is a limited edition of 300 copies). At first, these segues again put me in mind of Yona, and some of the post-rock production touches that he employs on his Remember album. Listening further, though, I’m more inclined to infer the influence of Robert Fripp and his “Frippertronics” washes of ambient, tape-looped electric guitar. It’s probably complete coincidence, but the “April…” bits sound like they could be right at home on Fripp’s Exposure album. The Fripp/King Crimson vibe returns again on “A Day Like Any Other,” which has Mucci picking in 5/8 time along to some minimal but effective cymbal work. The mood here is foreboding, and again more pattern than melody oriented, but the song’s dynamics, odd time signatures and various arrangement elements give it a more unique and personalized sound, causing it to stand out from the American Primitive pack. Along with side two’s opening “Chase Down Alice St.,” an energetic song that features kit drumming by Robb Cappelletto, “A Day…” shows that though Mucci may not be trying to rewrite the book on acoustic guitar, he definitely has some ideas of his own. M. Mucci has succeeded in creating a nuanced, interesting and at times quite exciting record, one that not only shows great promise, but also stands up to the work of many of today’s revered young fingerpickers.